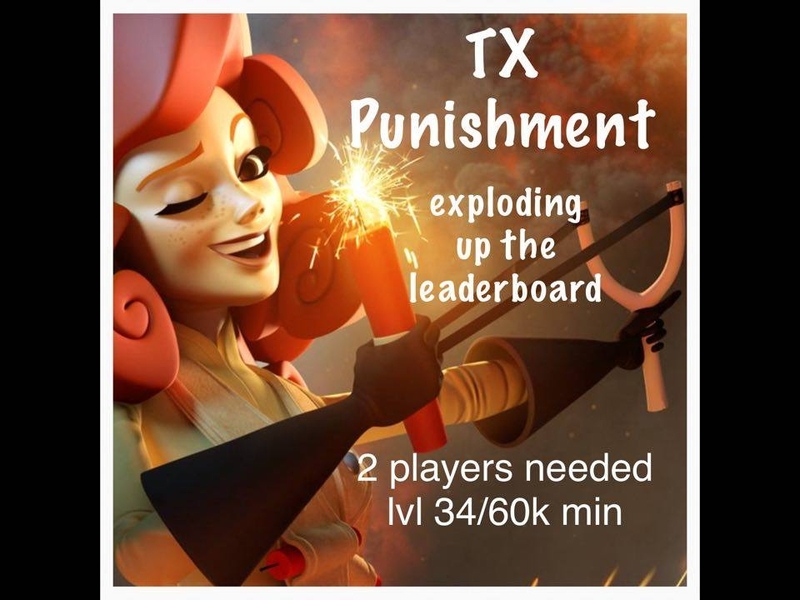 ~TX Punishment~ R U an elite player who can easily hit 120K? Tired of carrying the posse? Read here! Welcome to the TX Punishment recruitment thread! - We are a "mature" posse who loves the game an likes to have fun an be social with each other. - We keep current about game changes, so if something new happens in the game, we make sure everyone knows about it. - We're called TXP but we have members from USA, Europe an Australia as of now. - Points are important to us an always strive to get more points, but having a great time doing it is an priority. 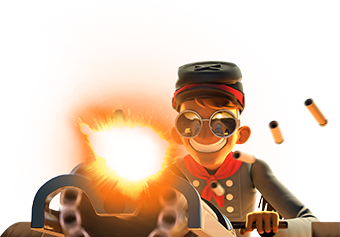 - You must be able to get min 80 000 points ( if the current score per train is ~1900 points). - You should get Kakao chat app or use facebook to communicate with us beside the game, this is only to your benefit so that you have a easy way back into the posse if you should get lost for whatever reason. We have a sister posse called TXPunishment2 (soon to be made), this is where you may start in, depends a little on if we know you from before or experience in the game, an other circumstances. If you start out there doesn't mean you're cut off from the main group. We all gather up in the free Kakao chat app for everyone to join so that we all get to know one another and make sure we don't get disconnected from each other. it's through here we mostly talk about switching member between TXPunishment, TXPunishment2 and Tx Punishers, huge benefit for you to get. As you can probably tell we're all about teamwork and listening to each other. We focus on making members for "life" and not for an event or two. Shout out any question you may have and I will do my best to answer it, or just skip a step and seek us out. I'm back this week to announce we have started our 2nd posse! TXPunishment2! 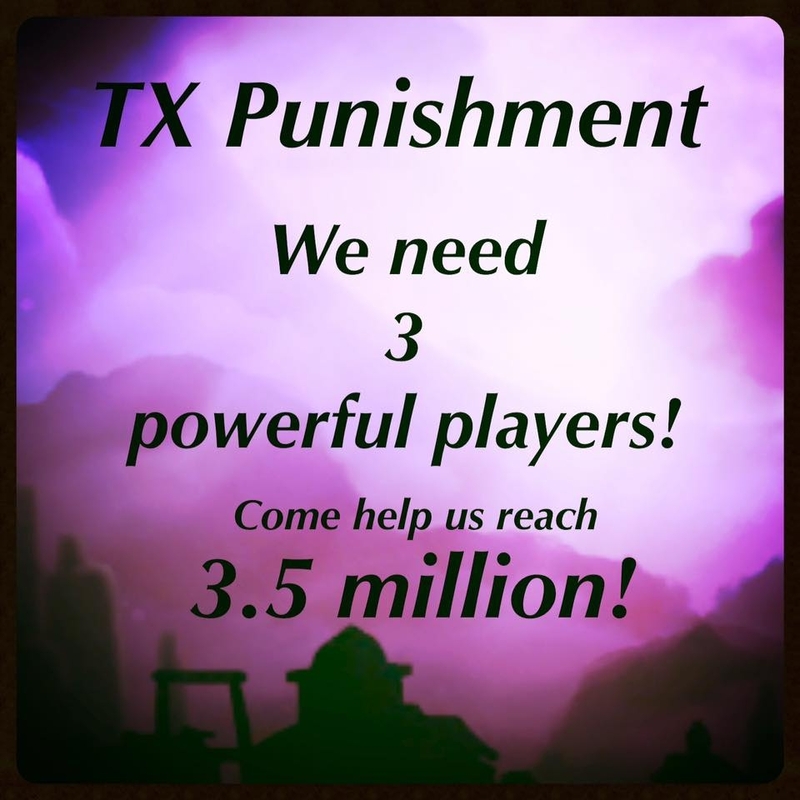 TXPunishment is growing strong and gathered allot of strong players but we still want to reach higher! We have started a 2nd for ambitious players who wants to join our main posse for those challenging events. Higher lv players needs to start out in TXPunishment2 show us for a event if you can collect enough points to join the main posse, after that you get a ticket into the action. You are free to join us even if you're at a lower lv, our purpose is to help lower level players get stronger and know the game inside out and hopefully one day they can join in on the main posse. TX Punishment is an awesome group! Everyone loves to talk & laugh while runnin trains. We use alternate chat to shoot the breeze & to help each other with difficult corrals & other issues n the game. U should give us a shot. Try it, u might like it! TXPunishment2. What a great way to show high point players in TX Punishment who you are, and what you can do! You will not be sorry joining this great and passionate family! The best in Compass Point West!!! Go apply to TXPunishment in game now in the game, first come first sserve! TXpunishment2 is up and running with 11 members so far, no requirements! The main posse needs 3 strong members to ensure that we get that top price secured each event! BUT THIS TIME we're getting third again! We have a opening for a min 100K player in our main posse, we're going all out this event and need a good player! Join in before the event starts! We do not accept anyone once the events starts due to new pose rules coming in! TXP2 is still growing larger, we have a 15K min. We got our main posse filled up with strong players and ready to get the top price ( assuming it's still 3.5 mill). And TX Punishment will help you get there! It'll be fun to see how things go this event. I'll feel better about shooting hard knowing we are all on the same playing field! I would never mind a visit from someone friendly, Frag! you're very welcomed here! Oh I wasn't joking I'll be waiting for the tug, don't leave me hanging lolol! I expect TGz to maybe take over 1st since heh can't get into this super swapping later on in the event. I know they get to 3.5 with 30. They swap afterwards to stay ahead. This is what I wanna see hehe. I am a level 14 looking for a starter posse. Lol. Working on it Charlie. The event starts at 5am here. Plus I work all day. Trains mostly only at night. YES WE DID IT AGAIN! Come join one of the most fun loving top posses around! However with TXPunishment2, we still have some spots open and it's starting to fill up! We have a 15k min that we're not that strict with yet lol but as the possse fills up we will! TXPunishment2 is open for all so just jump on in! Then TX Punishment may be something for you. 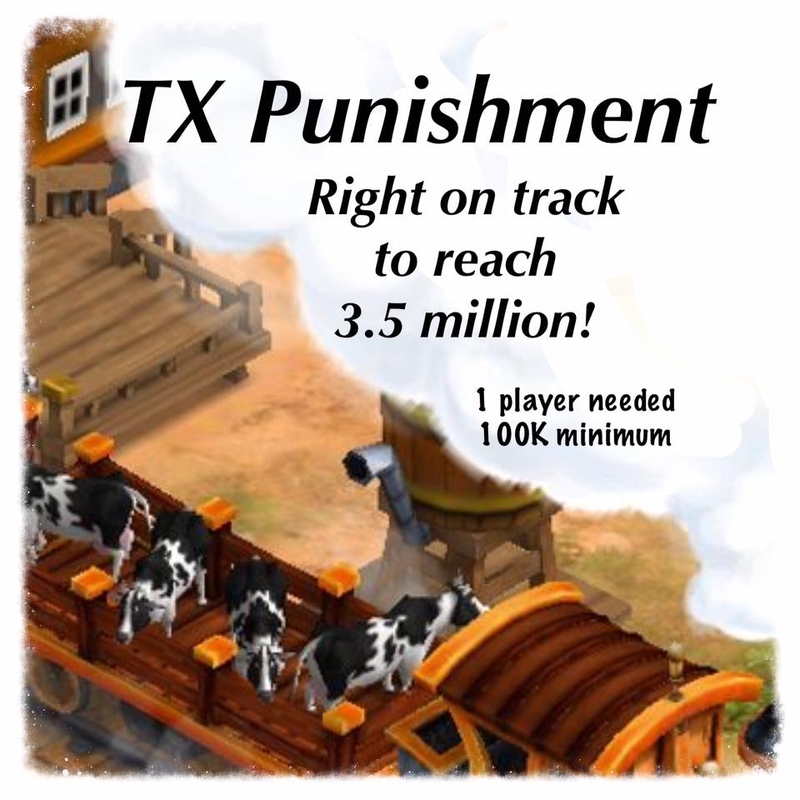 TX Punishment hassle free manage to reach the 3.5 mill marker each event now and thoroughly claimed the 3rd place, everyone does their part and we're looking to climb the leader board to the top. But we could use one or two more players to tag in to relieve some ace players when life gets too busy or they just need a breather. 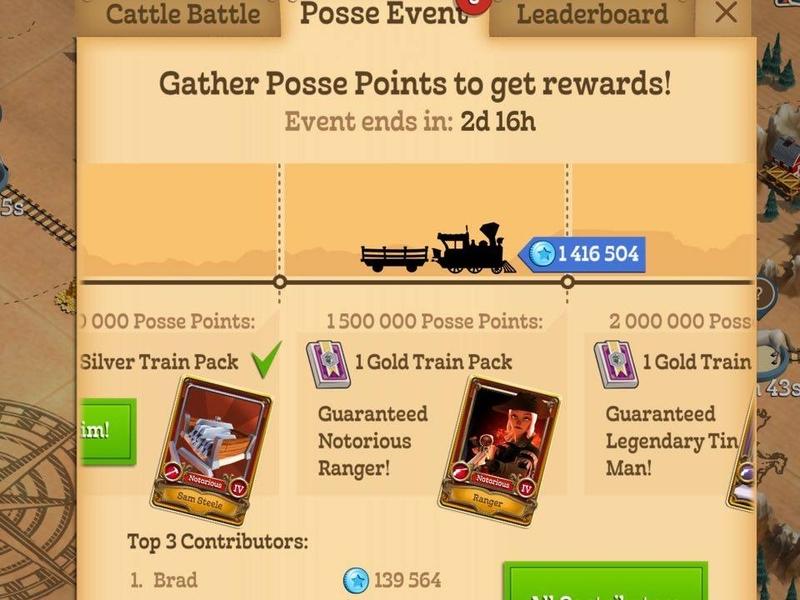 We only seek the best a this point, and no need to go in the starter posse if you have a screenshot of your last score and/or if you got a positive reputation! We have a good handful of experienced players who are happy to help you grow there right now if you're interested to learn how to grow in this game and become a top player.